Hornady's proven XTP load is now available for your Desert Eagle chambered in .50 AE! Lucky Gunner has what I need. 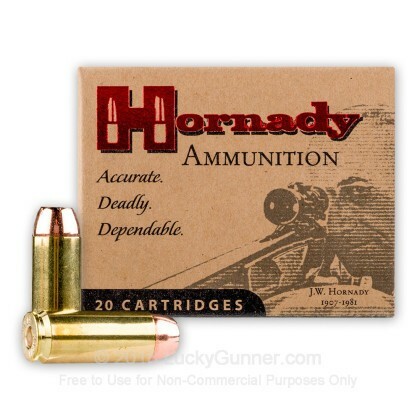 I'm glad that you carry the Hornady bullets that I like to use, good deal and fast shipping. good fast service. ammo was hornady. you cant go wrong with that brand. 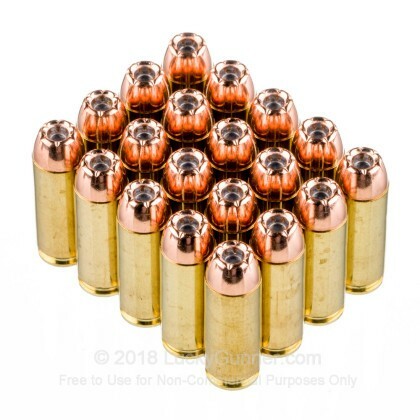 Ammo is bit pricey. which meant readjustment from previous experience with Sampson. But i lucked up and found lucky gunner and got surprised...! 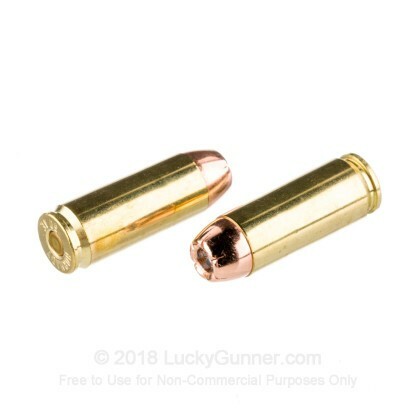 Gold dot is 325gr which I believe the sites on the desert eagle are set for so I prefer 325 grain or 350. Fast shipping and a great product and very accurate. 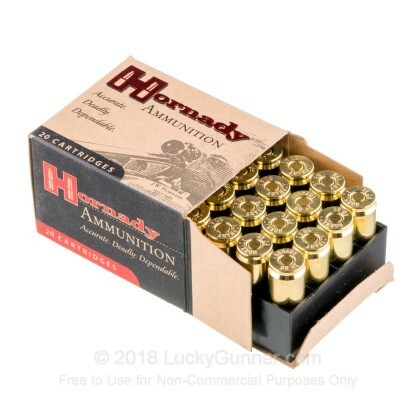 It's Hornady. Great price. It's Hornady. Couldn't ask for more. good fast service. ammo was hornady. you cant go wrong with that brand. Shot this ammo with a deseert eagle .50AE 6" barrel. Very accurate and clean. 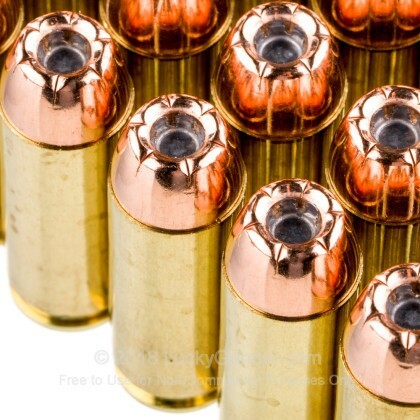 I like this ammo the best in this caliber. I was surprised at the price. I can go to gun shows and buy the same ammo for $25/box or less. 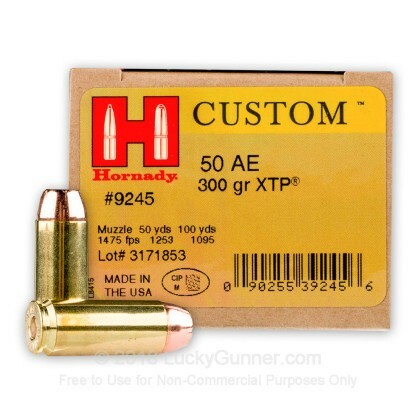 We also have this 50 Action Express - 300 Grain XTP JHP - Hornady Custom - 200 Rounds ammo in stock in a bigger quantity.